No cot/carrycot accepted. This property welcomes one medium or small sized dog only. 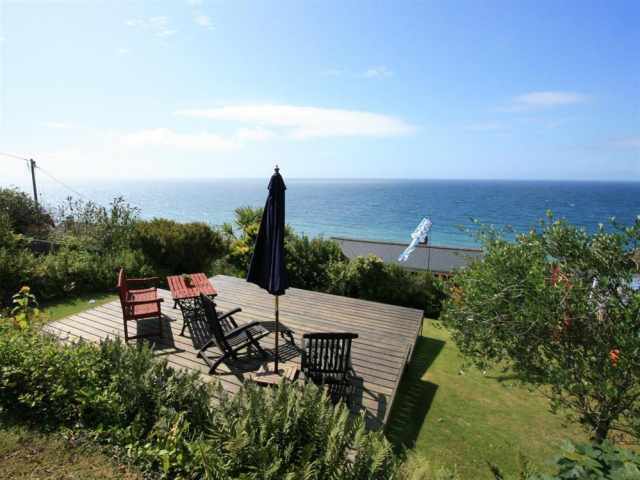 Just a ten minute walk down the hill to the tiny granite harbour at Lamorna Cove, this detached, sympathetically converted artists studio stands to one side of the country lane in the picturesque wooded Lamorna Valley. The Wink pub and The Cove Cornwall for restaurant dining open to non-residents are both just a couple of minutes walk away, and a leisurely 10 minute stroll down the hill leads to the famous cove where there is a small sandy beach at low tide adjacent to the harbour and a seasonal gift shop/beach cafe open until 8.30pm in season. 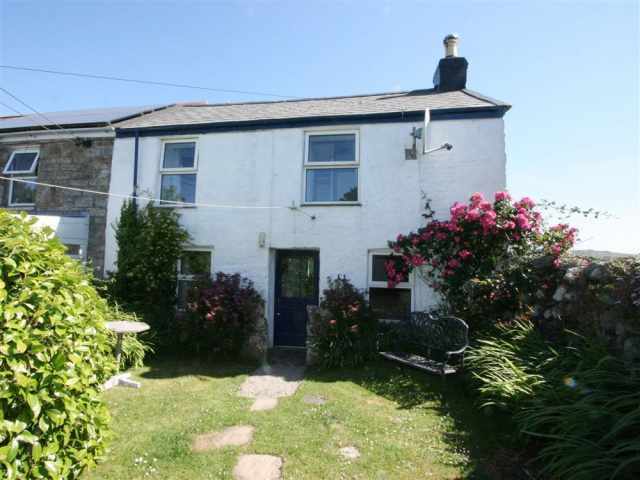 St Buryan, 3 miles, has a church, village store/P.O, pub and garage, and for a wider selection of amenities, the seaside town of Penzance is about a 15 minute drive with a ferry service to the Isles of Scilly. There are stunning cliff walks nearby both east and west, particularly the ten mile stretch from Lamorna to Lands End with numerous ancient sites to explore. Mousehole, Newlyn, the Minack Theatre at Porthcurno, Porthgwarra, Nanjizal, Sennen Cove and St Ives are all within easy reach. 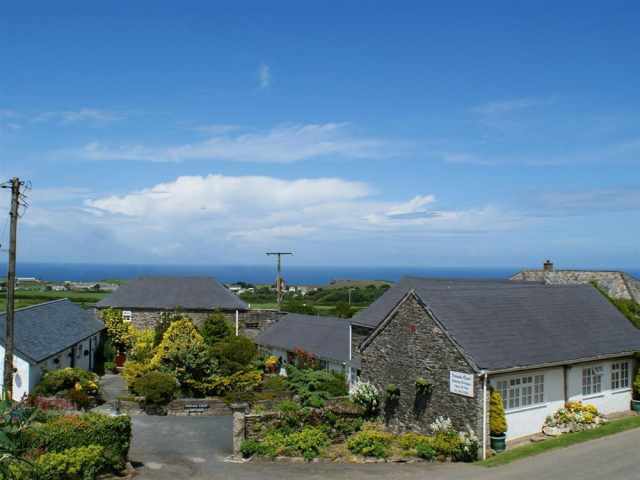 Recently renovated with double glazing and centrally heated to provide warm and cosy accommodation all year round, it is a haven for walkers and wildlife enthusiasts only half a mile from the beautiful cliff path and rugged coastline. This is formerly the studio of Denys Law, who was a painter, woodcarver and copper worker recognised by the Lamorna Society. A short sloping path and one step leads up to the stable front door which opens directly into a delightful, split level living room. There is a fully fitted smart kitchen with a small dining suite, and two steps lead up to the comfortable sitting area with a rug on the laminate wood floor and a leather sofa facing the electric coal effect stove. A further door opens to the double bedroom with a fully tiled en-suite shower room W.C. with tiled floor, hand basin and wide shower cubicle. 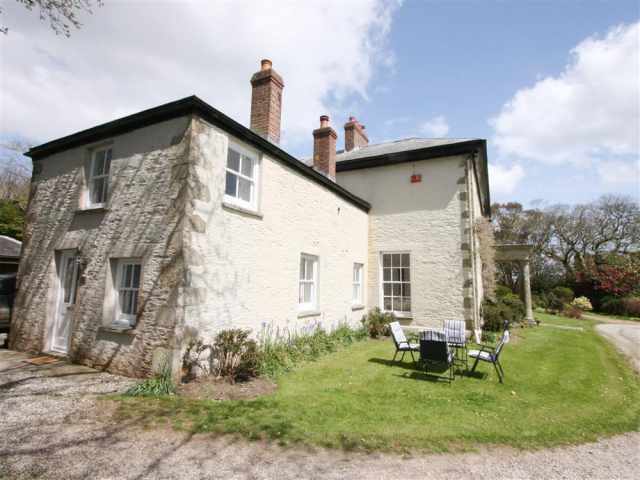 There is space outside for one small or medium size car on the gravelled parking area adjacent to the property and also a small decked terrace with picnic table overlooking the lush valley with the sounds of the running stream. Pets will require supervision outside.